Location: Eastern Santa Monica Mountains. If you are using Google Maps, the address 1092 Stunt Rd. in Calabasas will get you the approximate location. From the Thousand Oaks area, take the 101 Freeway to the Lost Hills exit (33). Turn right and follow Lost Hills 1.1 miles to Las Virgenes. Turn right and follow Las Virgenes 1.6 miles to Mulholland Highway. Turn left and go 4 miles to Stunt Road. Turn right and follow Stunt 2 miles to a turnout on the right side of the road. 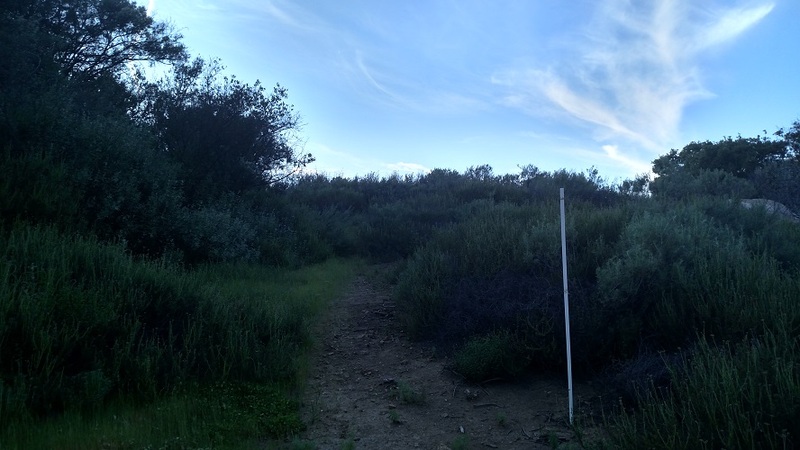 Look for mile marker 2.06 and a white metal vehicle gate with a sign indicating the Cold Creek High Trail. From the San Fernando Valley, take Highway 101 to Valley Circle/Mulholland (exit 29). Turn left and follow Mulholland 0.6 mile to Valmar. Bear right and follow Valmar for a total of 1.4 miles (it becomes Old Topanga Canyon) to Mulholland Highway. Turn right and follow Mulholland Highway 3.8 miles to Stunt Road. Turn left and follow Stunt Road 2 miles to the turnout. 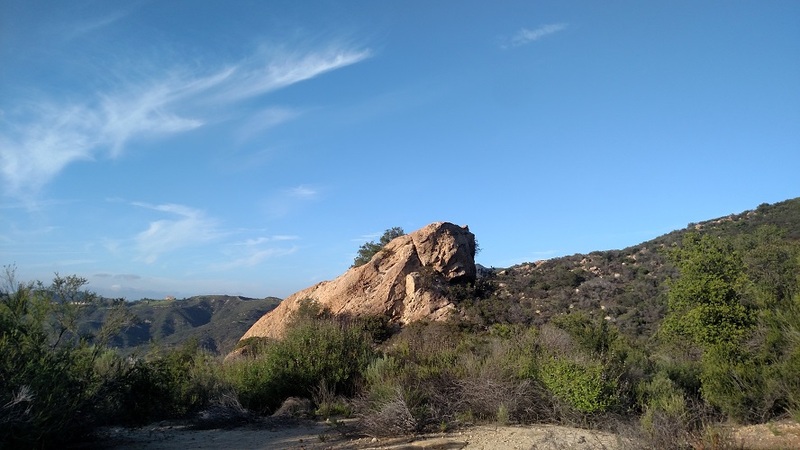 From Pacific Coast Highway, take Malibu Canyon Road north for 4.6 miles to Piuma Road. Turn right and follow Piuma Road 0.8 mile to Cold Canyon Rd. Turn left and follow Cold Canyon Rd. 2.1 miles to its ending at Mulholland Highway. Turn right and follow Mulholland 0.8 mile to Stunt Road. Turn right and follow Stunt Road 2 miles to the turnout. 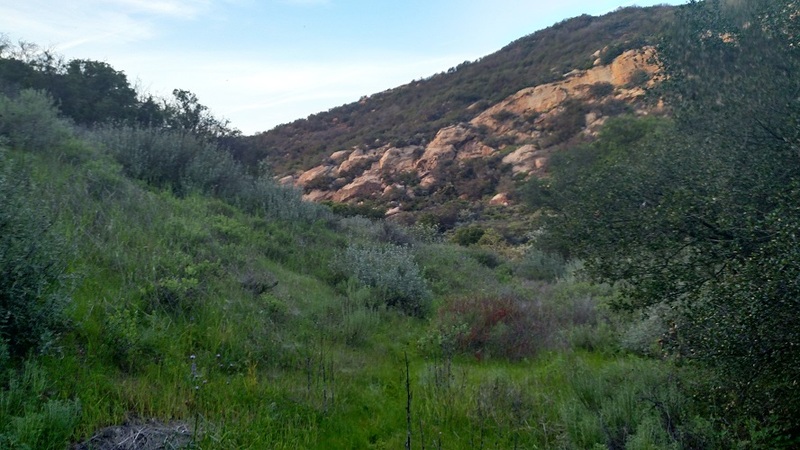 Think you’ve seen it all in the Santa Monica Mountains? 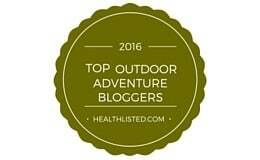 Try this short but adventurous hike out for size. 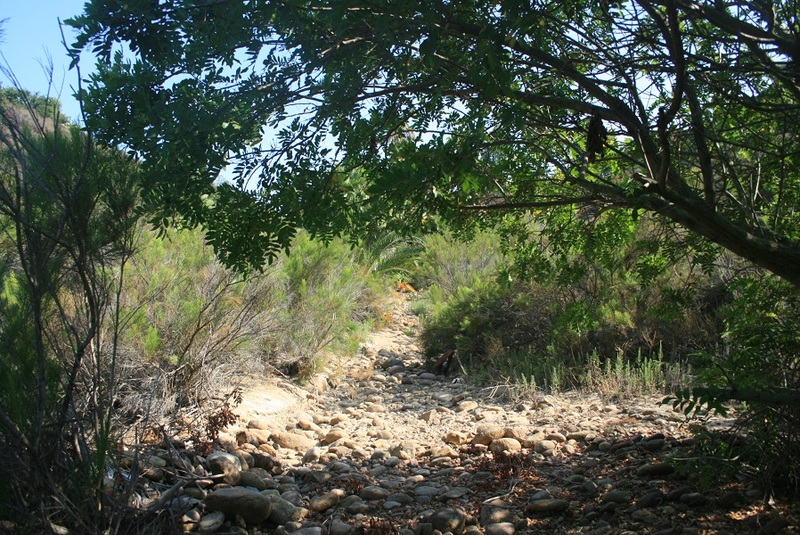 The West Cold Creek Canyon Preserve was recently acquired by the nearby Cold Creek Canyon Preserve. 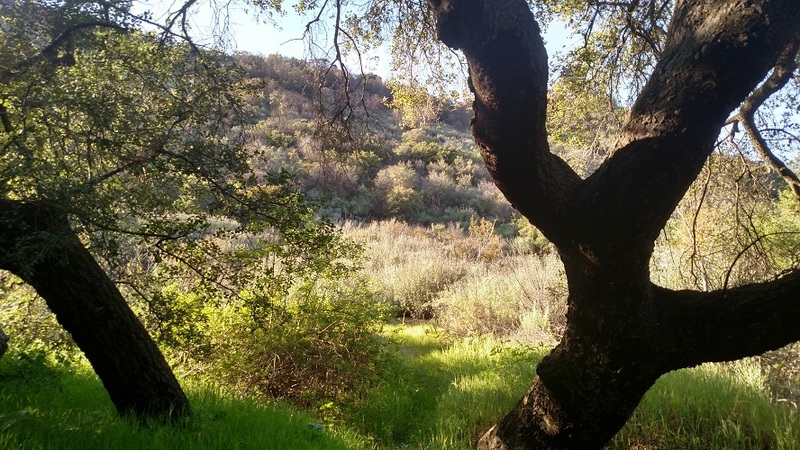 While the Cold Creek Canyon Preserve is accessible only through docent-led activities or by reservations, the West Cold Creek Canyon Preserve is open to the public. 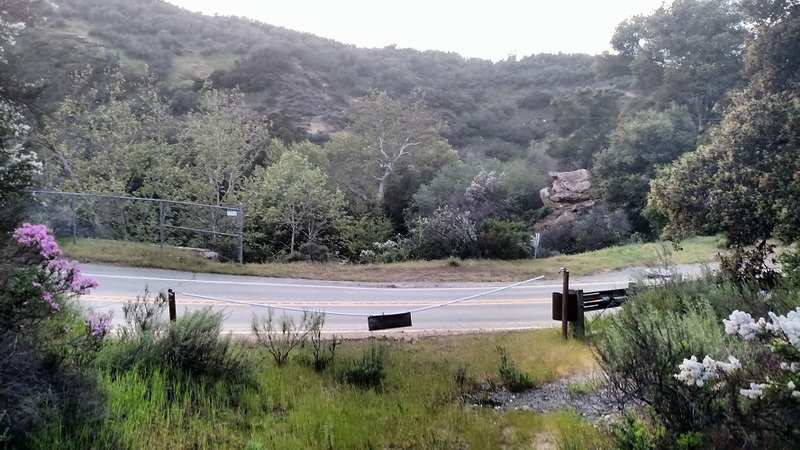 The Cold Creek High Trail (also known as the Great American Trail after the bank that used to own the land) climbs from Cold Canyon Road to Stunt Road through some of the most rugged terrain of the eastern Santa Monica Mountains. Much of the trail is overgrown and several stretches have badly eroded. While there’s not much poison oak, it can be hard to avoid in spots, so keep an eye out. Be careful of ticks, especially during the spring. Navigation is a challenge, although if you keep a few landmarks in mind, you won’t get lost. 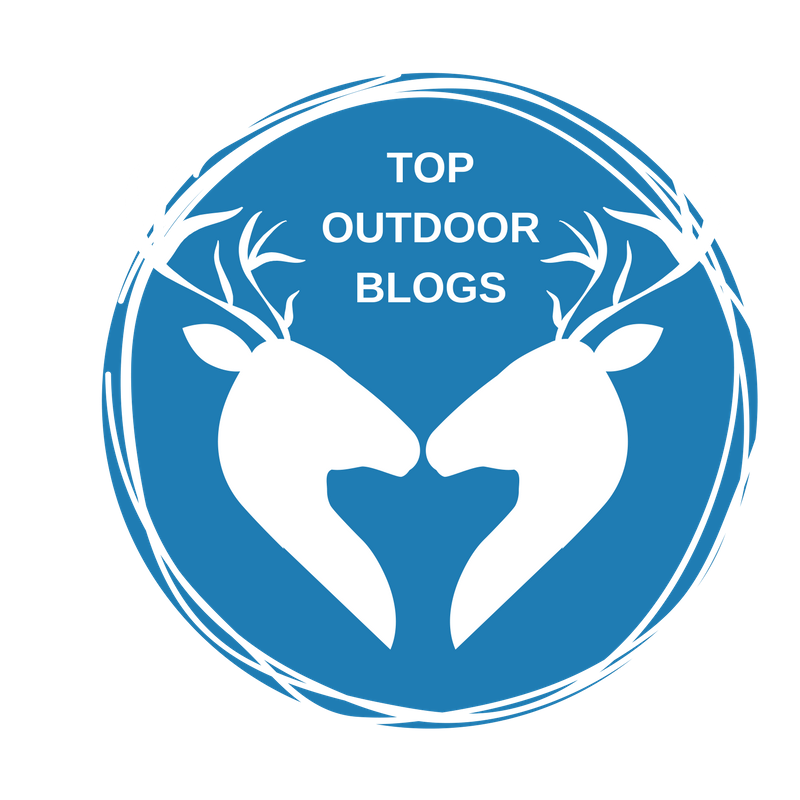 Because the upper end is easier to find and has more available parking, this post describes a reverse hike (down then up). Start by heading down the paved road. When the road bends to the right, bear left on a vaguely defined trail that heads downhill into an oak-shaded meadow. The trail clings tightly to the hillside and drops deeper into the woods, passing a barely trickling (even after rain) waterfall. A metal drainage pipe runs underneath the trail, which momentarily becomes a natural bridge. 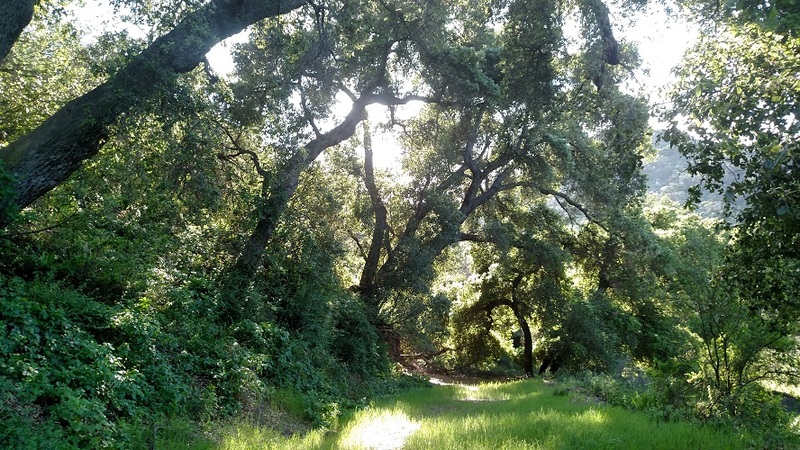 After passing by a pair of large oaks, the trail emerges into the open. When it appears to head straight, look for an obscure route heading left and climbing to a saddle (0.4 mile from the start). 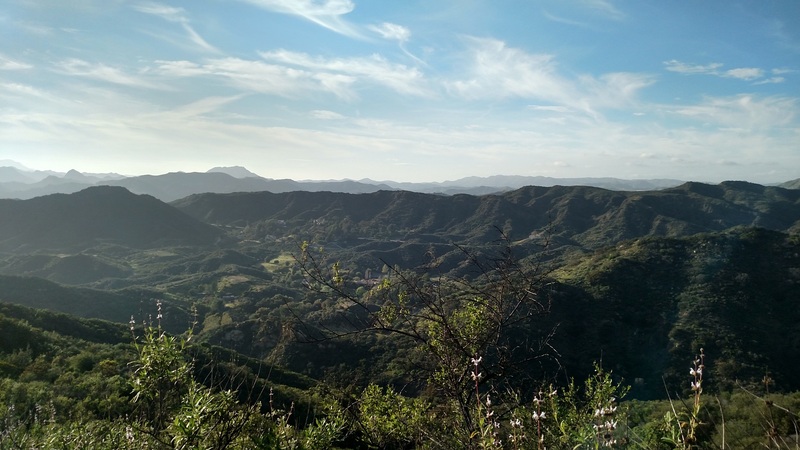 Here, you get an excellent view to the west including the Goat Buttes of Malibu Creek State Park, Castro Crest and Sugarloaf. The trail descends along a ridge, overgrown in spots but easy to follow. At 0.7 mile from the start, it makes a sharp left turn and heads back into the woods. You cross the canyon bottom and scramble through some brush before re-emerging. The trail appears to bend left but don’t follow it; instead turn right and head through a meadow. You’ll pick up another, better-defined trail here, which heads left and briefly uphill (look for a white plastic pole). At about one mile from the start, you reach a large sandstone boulder towering over a clearing. For casual hikers or those short on time, this is a good turnaround point as the remainder of the hike is steep, loose and requires bushwhacking. The trail continues its westward descent, tightly hugging the canyon wall. 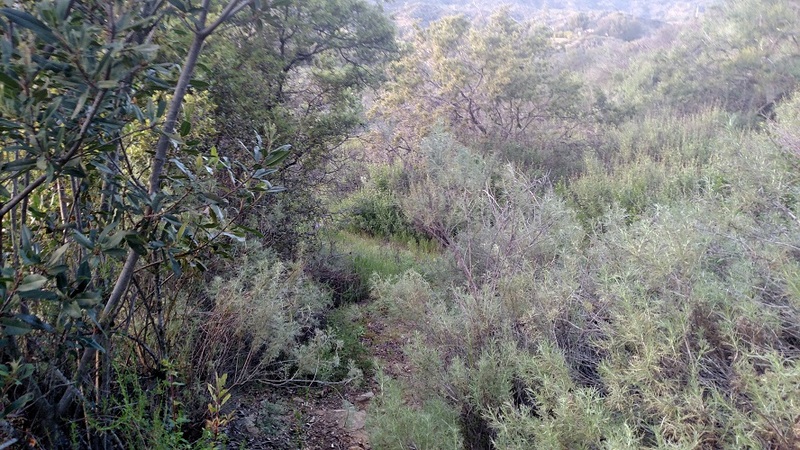 At 1.6 miles, just before the trail reaches a small clearing overlooking Cold Canyon Road, make an abrupt right turn. 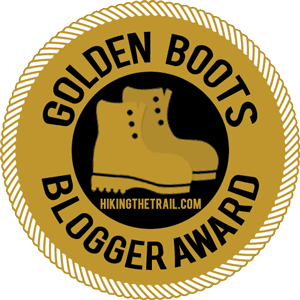 You pass through a field and then the trail makes its last dip, paralleling Cold Creek and reaching the Cold Canyon Road, 1.7 miles from the start. A steep and somewhat sketchy use trail provides access to the stream itself (watch out for poison oak). Cold Creek usually flows year round, especially following rain, providing a relaxing haven to sit and rest for the climb back to Stunt Road.